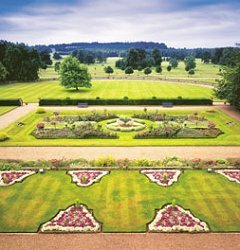 Below, you'll find all the Shropshire Hotels near Weston Park . All the hotels are listed by their distance to Weston Park itself. The park has it's own car park and the nearest train station to Weston Park is in Telford about 12 minutes from the park. 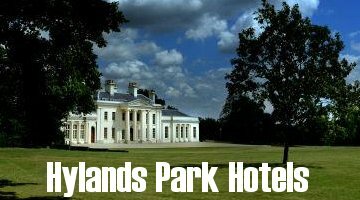 Weston Park is situated on the A5 at Weston-under-Lizard, just 30 minutes from Central Birmingham 3 miles off M54, Junction 3 & 8 miles off M6 Junction 12. The V Festival takes place on Saturday 18th and Sunday 19th August 2007 and tickets are on sale on Thursday 1st March 2007 at 9am. Call 0870 60 77 471 for tickets. 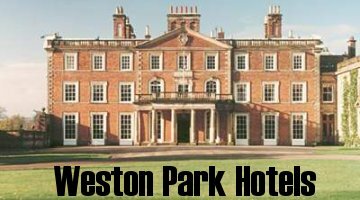 Do you need help finding a hotel near Weston Park? Chat to us live for free. V Festival returns in 2007 with a fantastic line up. In addition to the main players The Killers, Foo Fighters and Snow Patrol, also announced today are festival favourites Kasabian, party starter Pink, indie rockers James, legendary dance duo Basement Jaxx and Brighton pop entities The Kooks. Plus, BRIT Award winner Amy Winehouse, Welsh group Manic Street Preachers, British Breakthrough Act BRIT winners The Fratellis, NME Award holders Primal Scream and mesmerising singer-songwriter Damien Rice. Also, expect to see Britrock outfit Babyshambles, Happy Mondays, Scottish hit Paolo Nutini, indie four piece Editors and Grammy nominated KT Tunstall. Also playing at V this year is chart topper Mika, soulful solo artist James Morrison, dance floor queen Sophie Ellis Bextor, US digital sensations The Fray, celebrated return act The Proclaimers and last but by no means least, platinum selling act The Goo Goo Dolls.